Two Democratic Hispanic women – former El Paso County Judge Veronica Escobar and state Sen. Sylvia Garcia of Houston – just declared victory in open congressional races and are widely expected to win the seats outright in November. 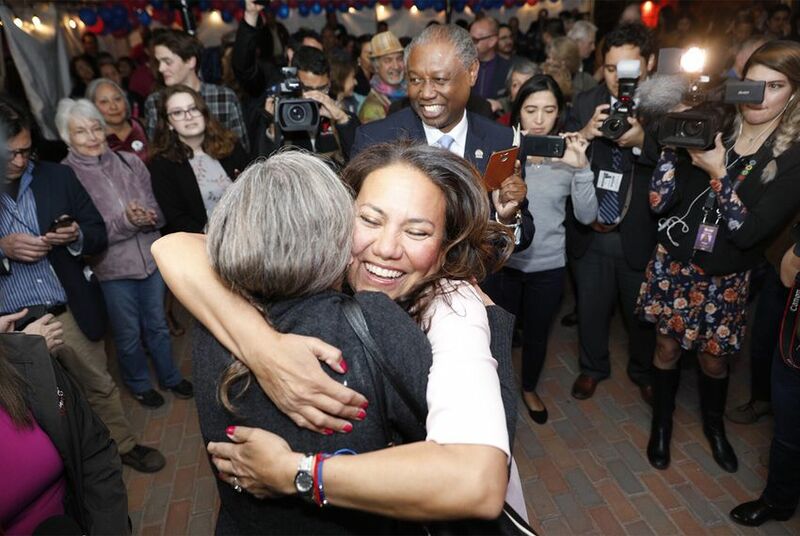 In El Paso, former El Paso County Judge Veronica Escobar declared victory Tuesday night in her race to replace Democratic U.S. Rep. Beto O'Rourke, who is running for the U.S. Senate. The two women are also likely to be in the first class of Texas freshmen women elected to a full term in Congress in 22 years — and they may yet be joined by more women from both sides of the aisle in the fall. Escobar said it's likely taken so long because it's traditionally more difficult for women to run successful campaigns. And being a woman of color adds to the challenge. "It’s really hard for women to run, when you have children. Even in the most modern of marriages or partnerships, frequently the mother is the primary caregiver," she said. "Timing has to be right for a lot of us. And I think it’s even harder for women of color because fundraising is really such a huge component of running in a congressional race and many of us may have limited networks." But she added that in the current political climate, excuses like that are no longer enough to warrant waiting on the sidelines. "I think many of us have gotten to the point where we say forget the obstacles, we just got to get this done," she said. "There’s just too much at stake." Later, Escobar showed no sign she wanted to claim the title of "First Latina from Texas" for herself. After speaking to local television, she asked a Texas Tribune reporter, "How's Sylvia doing?" 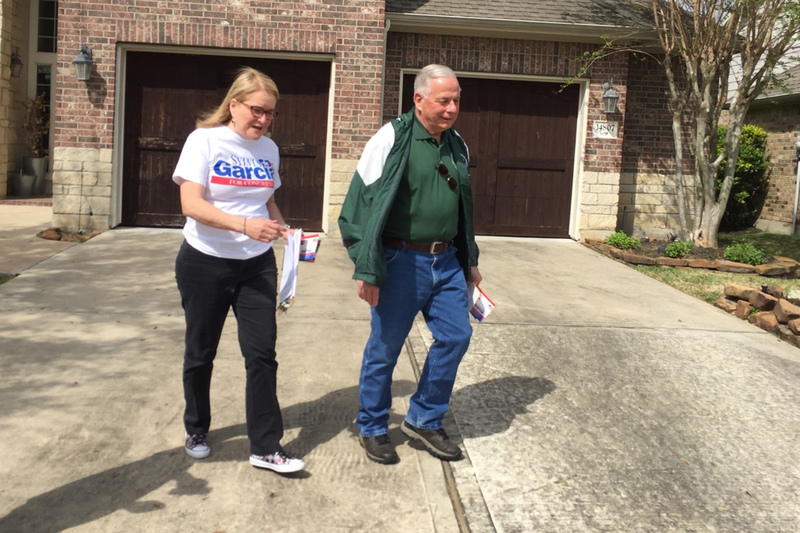 Garcia is a longtime fixture in Houston politics. She ran for Congress in 1992 but lost to Green, who has held the seat ever since. He endorsed her in this campaign and hit the trail with her over the weekend. "I wanted Latino girls and boys to to know this is a state of opportunity and it's a welcoming state," Garcia said Tuesday evening. "You have to work hard and believe in yourself and you can do it." But when asked about potentially being one of the first Texas Latinas in Congress, Garcia said that wouldn't be her focus. "Well, I don't really ever think about those things," she said. "I never really wanted to be the first. I wanted to be the best."